National Auto Distributors, Inc. NAD Auto has been established since 1991. We import highest quality of used engines and used transmissions direct from Japan. We are delicated to providing superior service and quality control of our merchandise prior to sale by responding to our customers' expectations. Most of our engines are tested run in our premise to assure no knocking. Then they are compression tested. If the engine does not pass our standard testing, it will not be sold. Therefore transmissions can not be tested: they are inspected for excessive wear and transmission fluid clean. 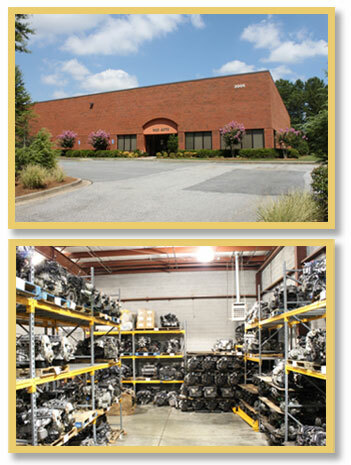 1991 - Began stocking 200-300 engines and transmissions in 5,000 sq.ft. warehouse. 1994 - Move to 11,000 sq.ft. warehouse with over 1,000 units. 1998 - Construction of a 18,000 sq.ft. facility in Gwinnett County, Georgia.Milestone of "13 years of progress". Throughout the history of NAD auto, we have carefully expanded and enhanced our merchadise and service so that today no other importer of used Japanese engines and transmissions offer a higher degree of quality and services more consistently.